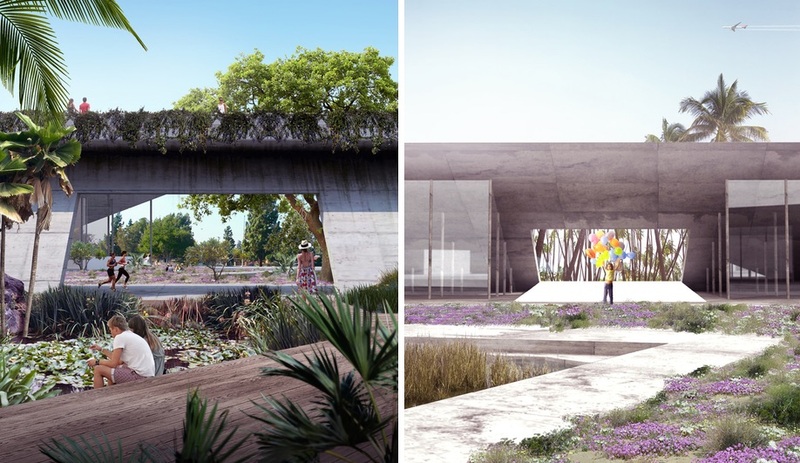 Announced this week, the winning concepts propose ways to reduce water use, replenish the region’s vanishing water table, and even create beautiful oases that restore the urban environment. 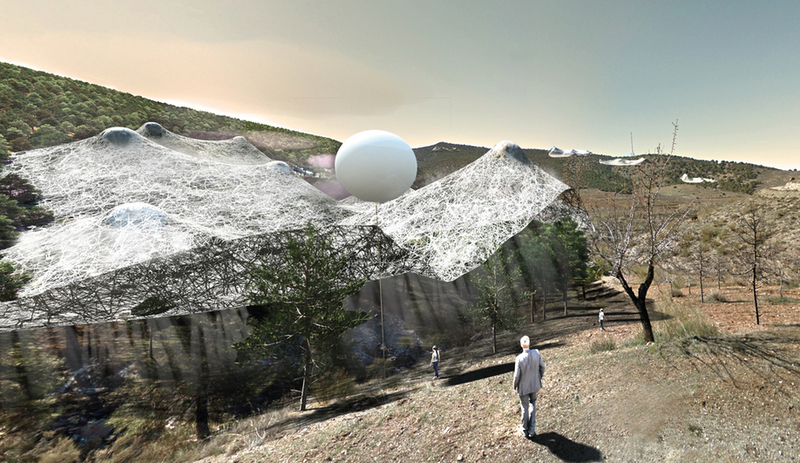 Archinect launched the Dry Futures competition in the summer of 2015 – in the fourth year of California’s ongoing drought – asking for bold design proposals that could mitigate the over-consumption of water, be they practicable or so conceptual they veer into the realm of science fiction. 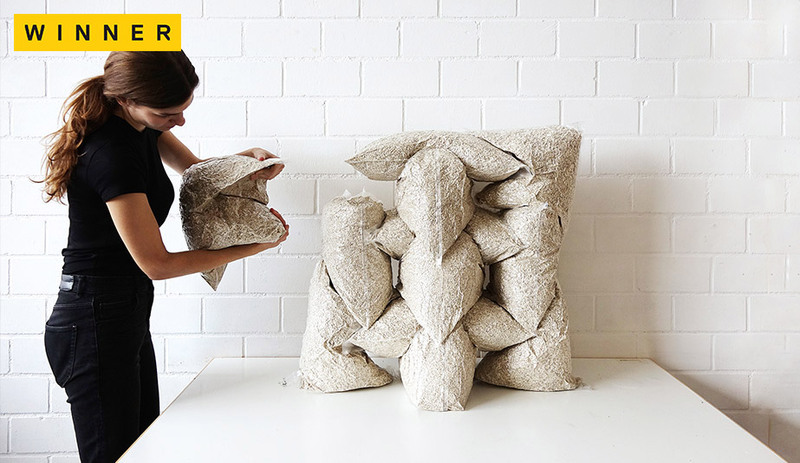 Architect Ali Chen claimed the top prize in the Speculative category with a concept entitled Grassroots Cactivism. 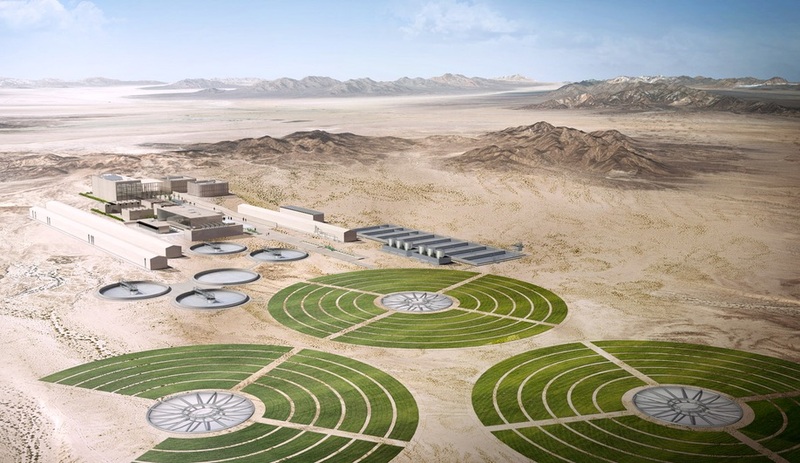 Chen took her cue from the fact that roughly 80 per cent of the water consumed in California is used by the agriculture industry, much of it to grow livestock fodder. The prickly pear – a cactus indigenous to the area – is much less water-intensive than other crops, and has been used as livestock feed during times of drought for centuries. Just as striking, the people of Mexico have long used the pulp of macerated prickly pears to help clear water; it is capable of dispersing oil spills even at lower concentrations than synthetic chemicals. 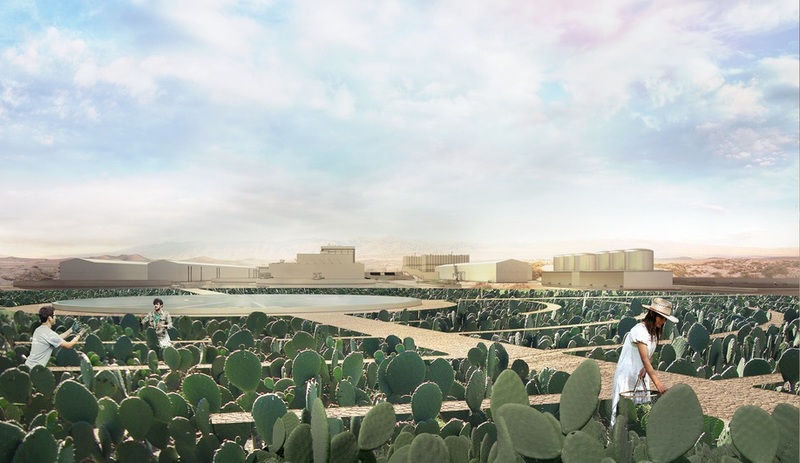 Chen’s proposal would see the large-scale cultivation and harvest of prickly pears not just for use as fodder for livestock, but to help purify water via on-site bioreactors as well. Such a farm could also serve as a tourist and information centre, educating guests and serving cactus-based cuisine. 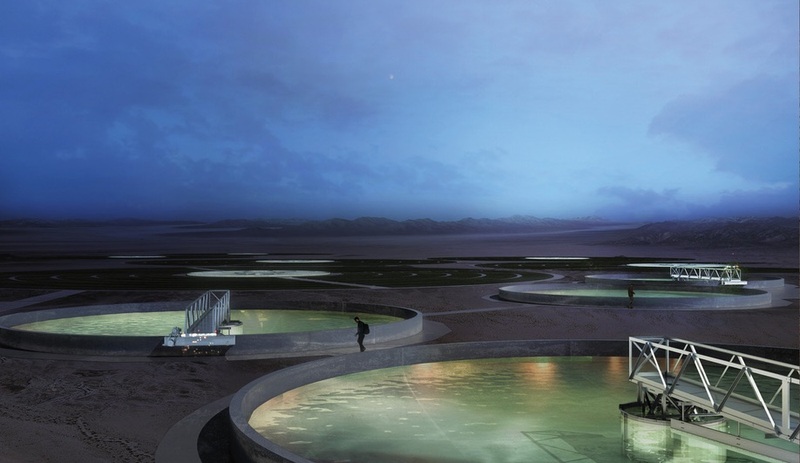 Second place in the Speculative category went to Urban Swales, a concept by the Geofutures team from New York’s Rensselaer School of Architecture. 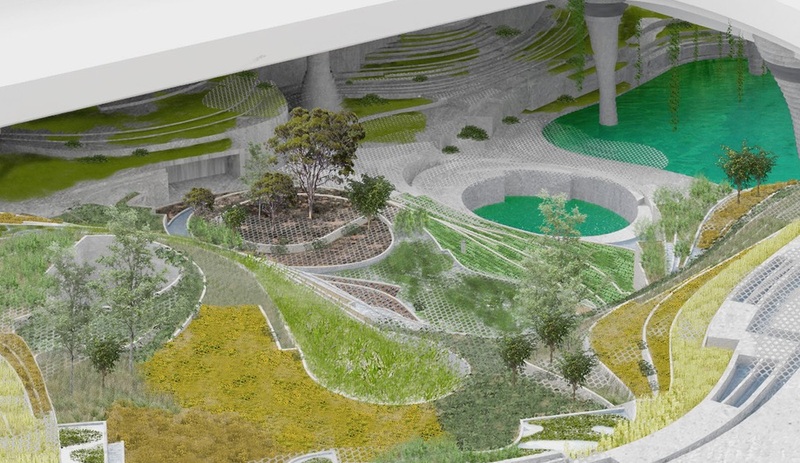 Where downtown Los Angeles now has storm sewers and the unused spaces under highways, Geofutures envisions a series of cavernous landscaped subterranean reservoirs. 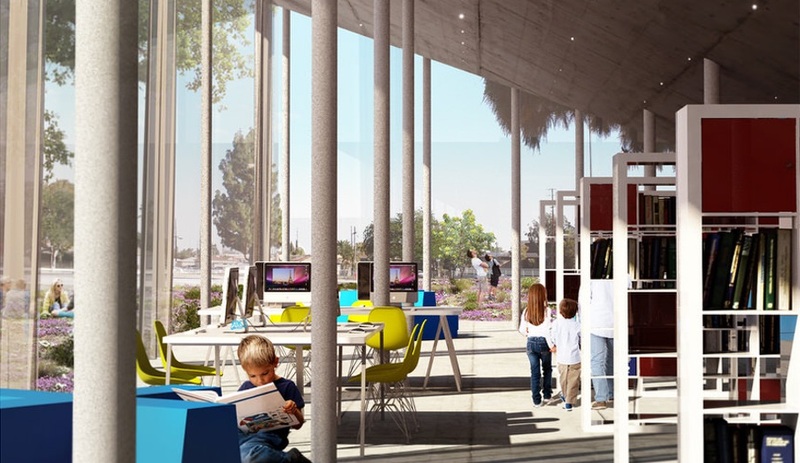 These terraced, park-like spaces would not only collect, store and remediate storm runoff for local use; they would also offer local residents unique recreational spaces and a habitat for a variety of flora and fauna. 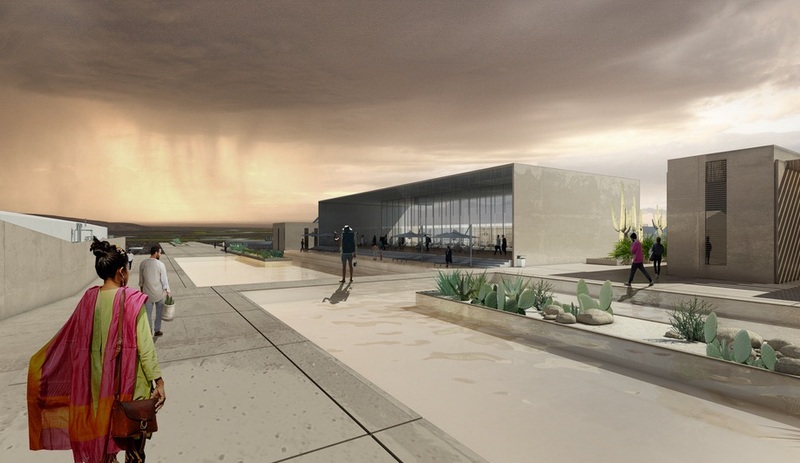 Leading the winners in the Pragmatic category is Liquifying Aquifers by San Francisco architect and yacht designer Lujac Desautel. The proposal addresses the alarming state of the San Fernando Valley’s groundwater basin, which is being consumed faster than it can be replenished, and is expected to be completely empty within 80 years. Population growth, as Desautel points out, has only exacerbated the problem, as sprawling hardscapes mean even less rainwater is reclaimed by the water table than ever. 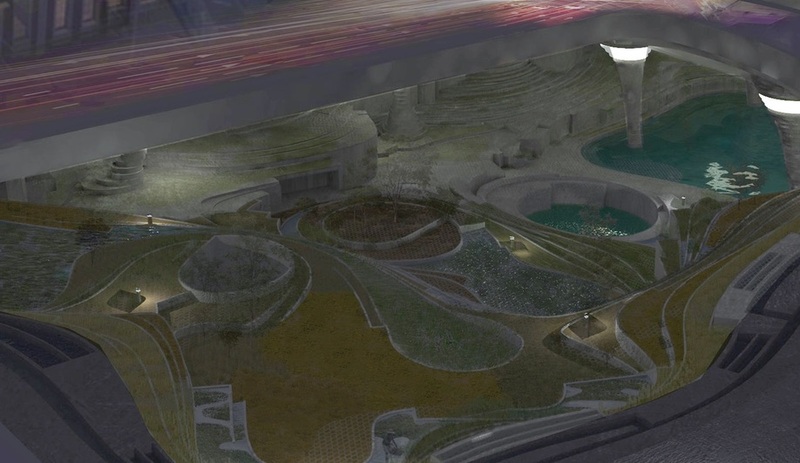 Desautel envisions future architectural projects as massive funnels that channel water back into the ground. 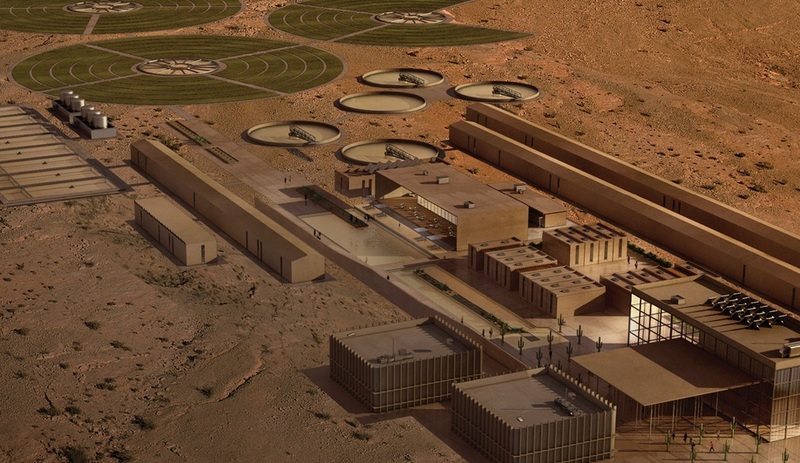 Such broad structures capture water rather than shedding it: wide swimming pools, roofs, and even landscapes can act like a water tank, directing water underground into existing infrastructure. 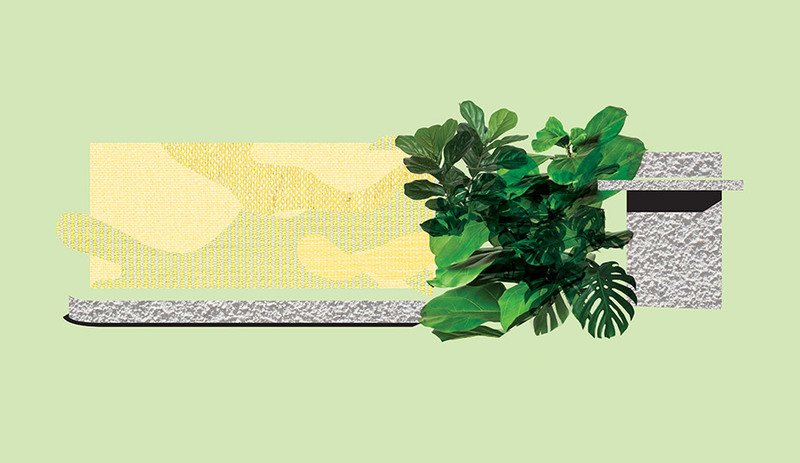 It’s an effort that mirrors the recent push for green roofs; in fact, they’re complementary efforts, as planted roofs reduce the evaporation of rainfall and help to purify water as it percolates through. The competition jury consisted of representatives from a cross-section of industries: Allison Arieff of the nonprofit SPUR; landscape architects Colleen Tuite and Ian Quate of GRNASFCK and Charles Anderson of WERK; Geoff Manaugh of BLDGBLOG; Hadley and Peter Arnold of the Arid Lands Institute; Jay Famiglietti of NASA’s Jet Propulsion Laboratory; and Peter Zellner of architecture firm ZNc Los Angeles. 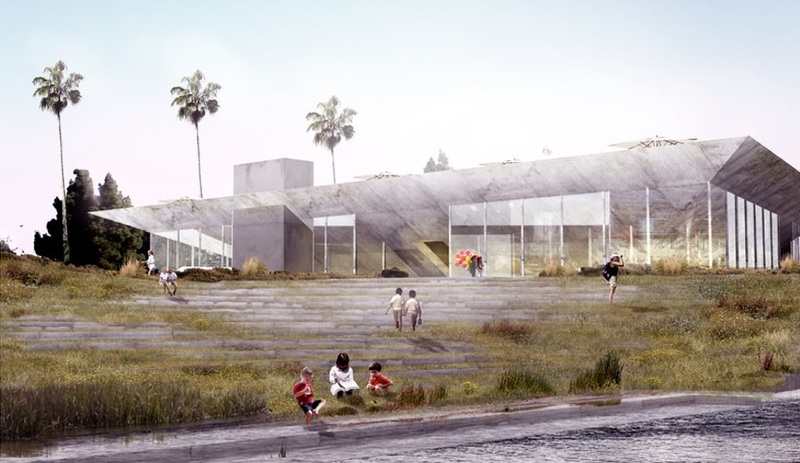 2nd Place: Urban Swales: Subterranean Reservoir Network for Los Angeles, Geofutures @ Rensselaer School of Architecture / Muhammad Ahmad Khan (student); Chris Perry (program director), Ted Ngai, Fleet Hower, Kelly Winn, Lydia Xynogala (program faculty). Acknowledgements: Evan Douglis, Dean of the Rensselaer School of Architecture. 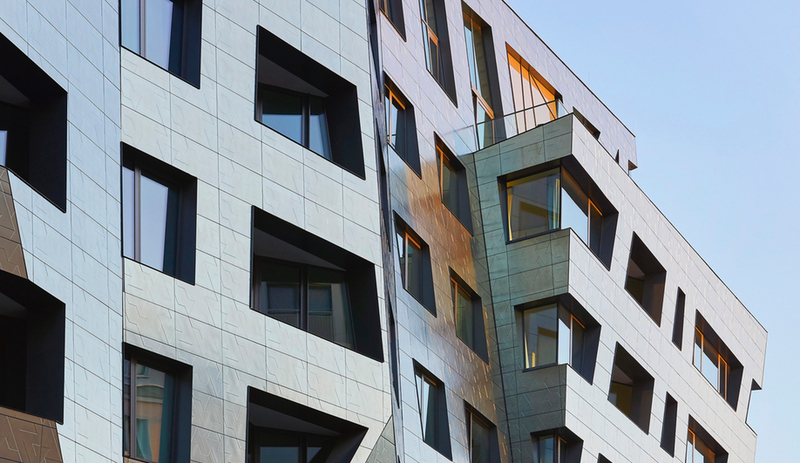 Additional images of the winning projects can be seen on the Dry Futures website.